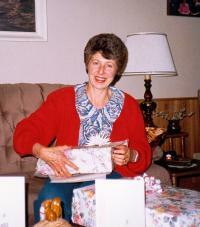 It is with heavy hearts that the family of Sylvia Turlock announce her passing at the age of 75 years. Sylvia is survived by her loving husband Walter; children, Jackie (Geoff), Greg (Sandy), Barry (Doris), Jeff (Barb); grandchildren, Shawn (Lisa), Kristy (Mike), Matt & Landon and great grandchildren Connor, Finn and Clara. A Funeral Mass will be held at 1:00 p.m. on Saturday, October 8, 2011 at Holy Trinity Catholic Church, 200 Boundary Road, Spruce Grove. In lieu of flowers, donations in Sylvia’s memory can be made to www.meowfoundation.com or The Edmonton Humane Society.